It is often hard for owners to ensure a business with geographically diverse locations run seamlessly as a unified company. 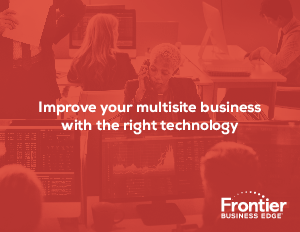 This is especially true as there are a number of trends emerging that complicate the task of running a business that has multiple locations. At the same time, there are technologies and capabilities than can help your business and staff create an integrated work environment. This ebook will examine a variety of solutions that can make it easy for staff to work across all of your business locations, helping to make your business run more efficiently and providing your staff with the tools they need to be more productive.